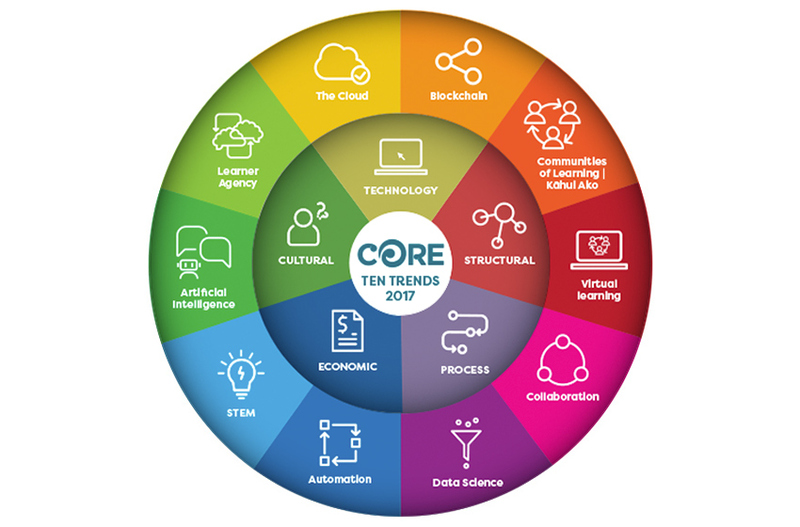 CORE’s Ten Trends for 2017 are now available to view and use for personal reflection, research or as a catalyst for staff discussion. Every year our team at CORE invests time drawing together ideas from a range of areas to create our Ten Trends. There’s a lot of value for our staff in doing so as it ensures we are keeping abreast of current trends and developments and thinking about how they may impact on the education sector. In addition, when we share these with the wider community of educators, they provide a catalyst for further exploration, debate and discussion in staffrooms across the country – and further afield. We believe these trends are a way of assisting educators and others to gain a broader perspective on the changes taking place in our schools and society. 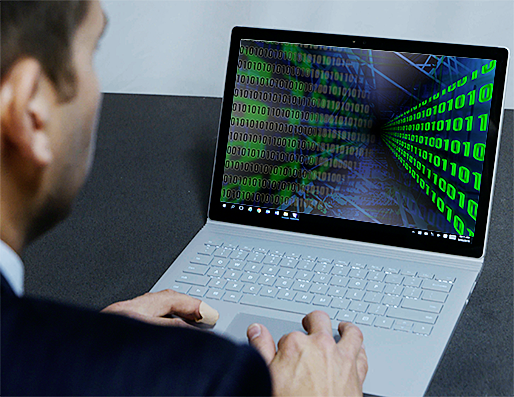 Every day we are challenged by new things happening and new technologies driving some of this – and this exponentially changing world can often be overwhelming. By taking some time to examine the trends, and to examine both the positive and negative impacts of each, we can be better prepared to respond to the changes that may occur, to understand the drivers behind them, and to work in ways that ensure a human response is made. This year we’ve placed a greater emphasis on explaining the importance of the five central trend areas in our diagram. These are really the domains in which the things we identify as trends are having an impact – and where we are seeing the changes occur in our educational institutions and in society generally. 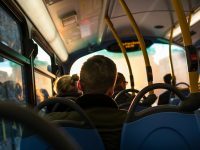 For each of these five domains we have focused on two things that are illustrative of these trends – one of which is impacting on our lives in the immediate future, the second being a little further off, but worth watching! 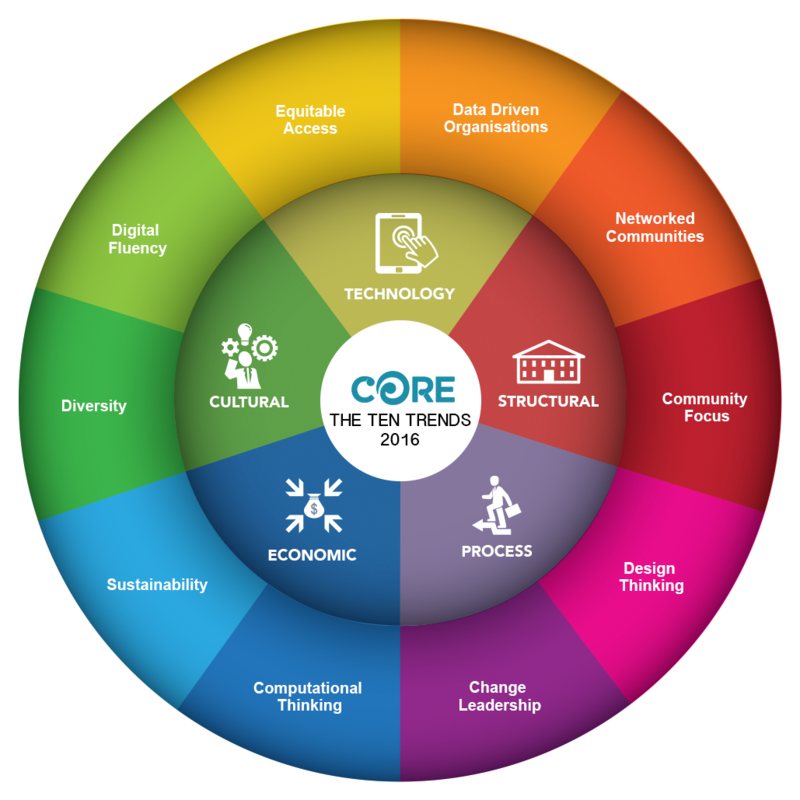 Another change this year is that we have decided to publish our trends as a PDF document that you can download from the CORE website. We’ll still be publishing them electronically on our website – including video material, but we’re now publishing these in PDF format in response to feedback received over the past couple of years from educators and school leaders who are keen to use them for research or as conversation starters with staff. If you’d like to be a part of some wider discussions around these trends, I encourage you to join the Ten Trends group in edSpace, our new online community space, where educators from across New Zealand are taking time to engage with each other in discussing things that matter to them, their learners and their communities.